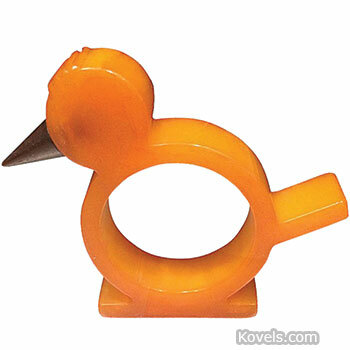 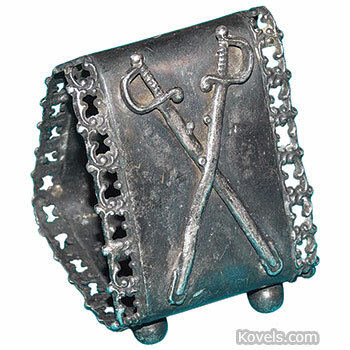 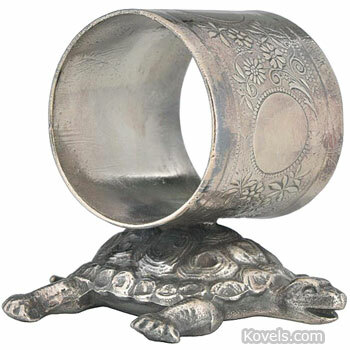 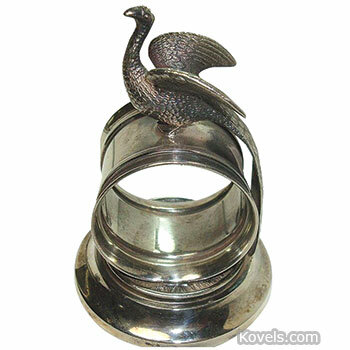 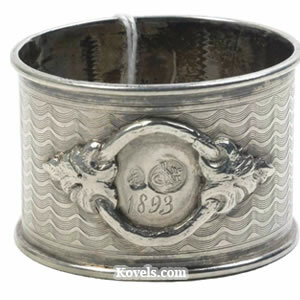 Napkin rings were in fashion from 1869 to about 1900. 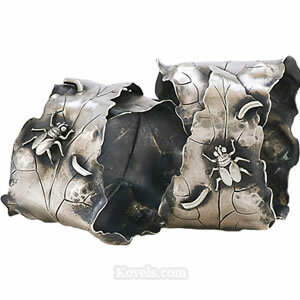 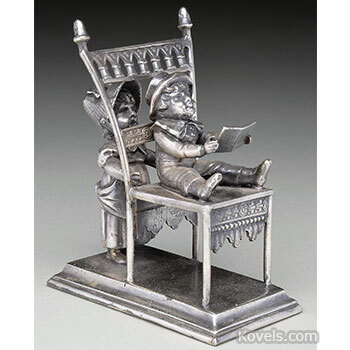 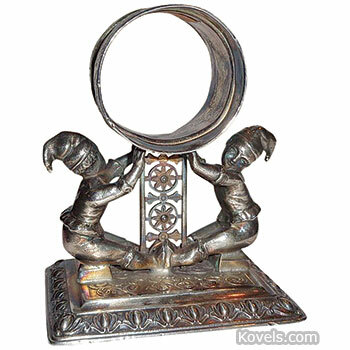 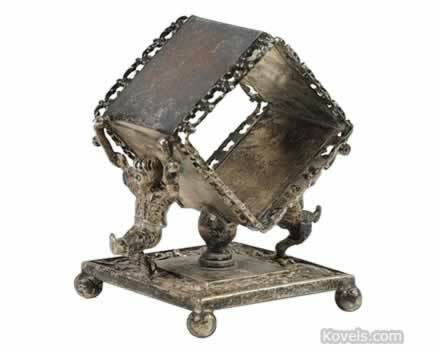 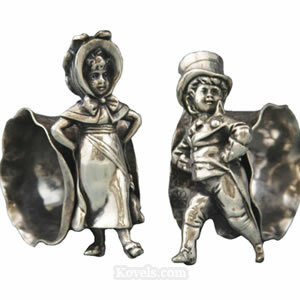 They were made of silver, porcelain, wood, and other materials. 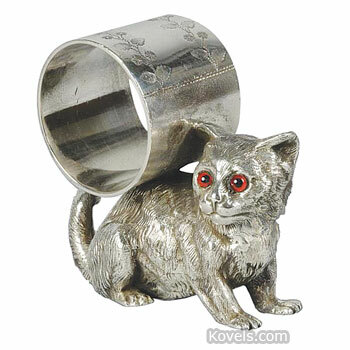 They are still being made. 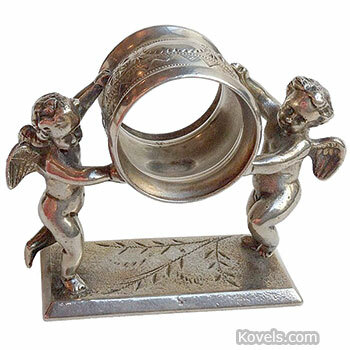 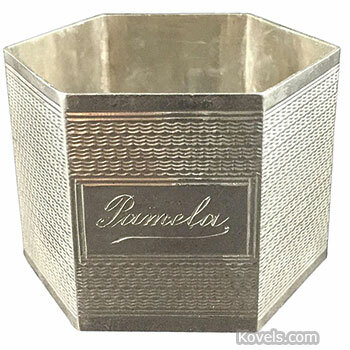 The first American patent for napkin rings was issued in 1867. 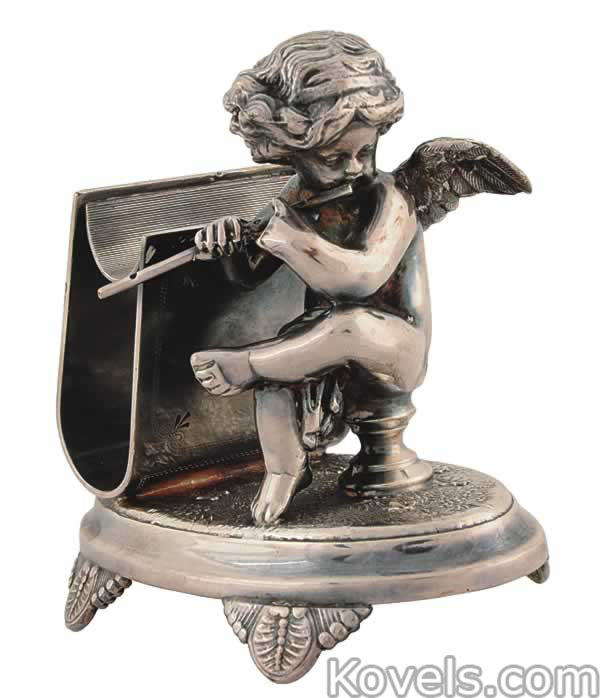 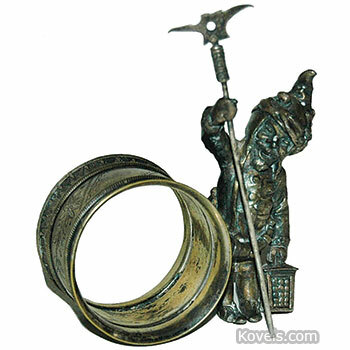 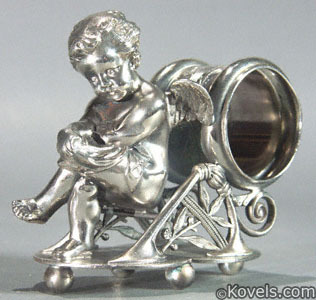 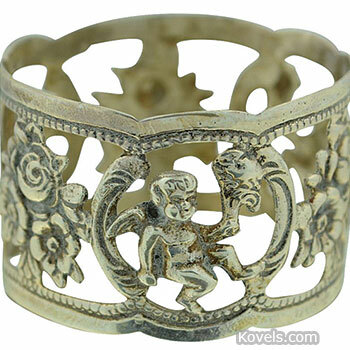 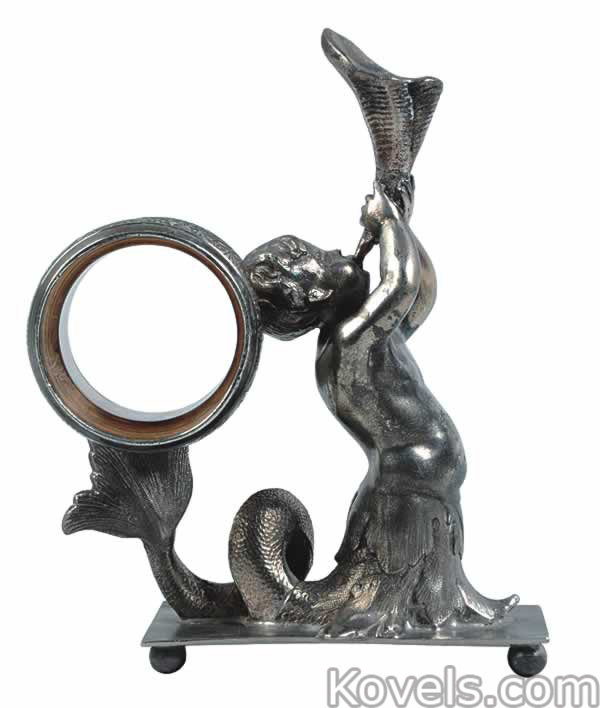 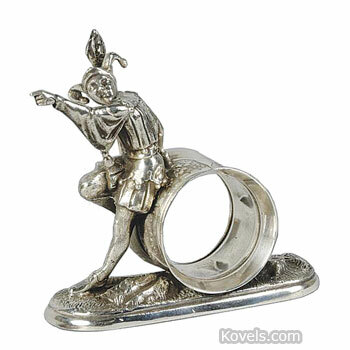 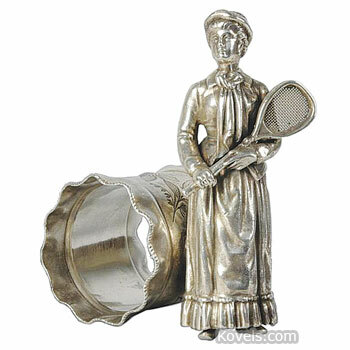 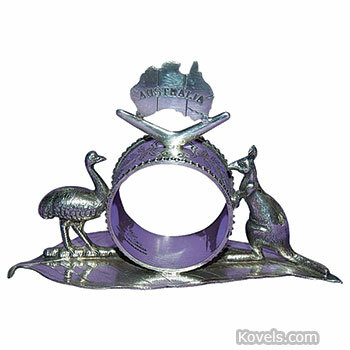 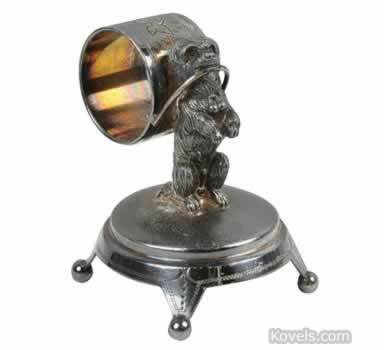 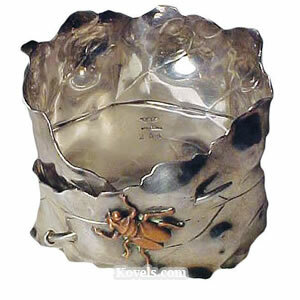 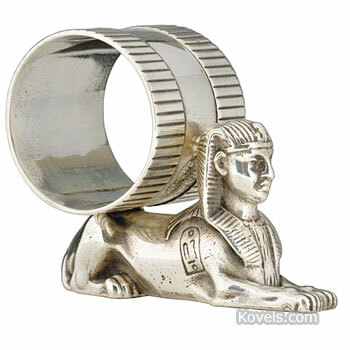 The most popular rings with collectors are the silver plated figural examples. 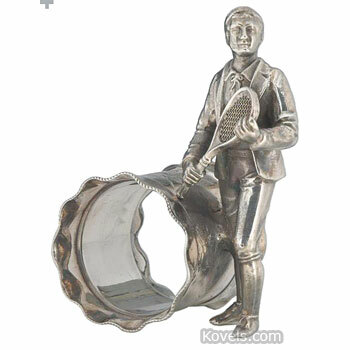 Small, realistic figures were made to hold the ring. 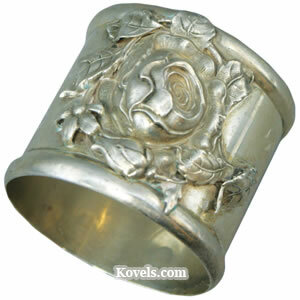 Good and poor reproductions of the more expensive rings are now being made and collectors must be very careful.